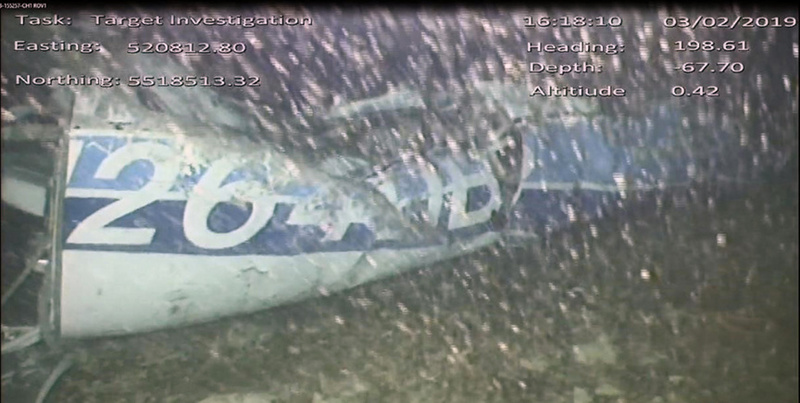 LONDON (AP) — One body is visible in the seabed wreckage of a plane that went missing carrying Argentine soccer player Emiliano Sala and his pilot two weeks ago over the English Channel. Britain's Air Accident Investigation Branch did not say on Monday if the underwater camera identified Sala or pilot David Ibbotson, the only two people on board the small aircraft that disappeared from radar over the English Channel on Jan. 21 as it flew from the French city of Nantes to Cardiff, Wales. "Let's hope they can rescue it as soon as possible to find out what happened and have some sort of certainty," Horacio Sala, the footballer's father, told The Associated Press outside the family's home in Progreso, about 300 miles (500 kilometers) northwest of Buenos Aires. "I feel very empty. For a father to lose a son, is not something that you expect." "It's imperative that the plane is recovered, and now even more so now we know someone is down there," Mearns said.